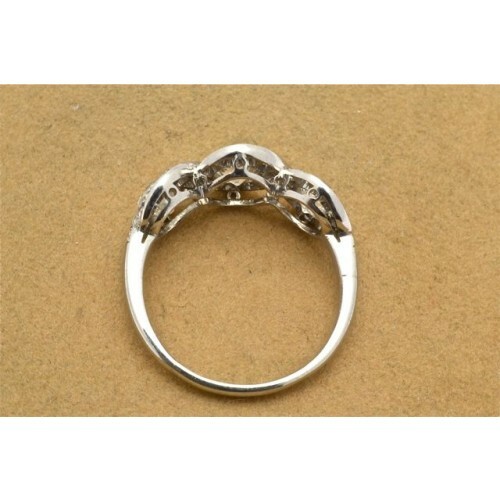 Triple cluster diamond ring, having three old cut round stones circa 1920, weighing 1 carat. 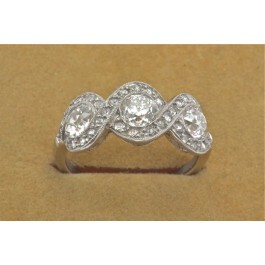 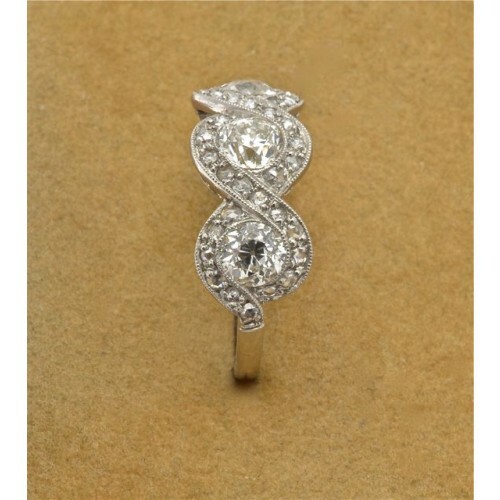 The three stones are surrounded by 34 small diamonds weighing half a carat, H colour, SI clarity. 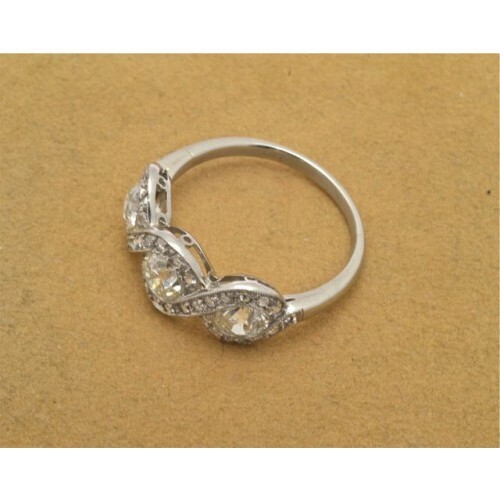 This stunning ring is platinum mounted in a rub-over mill grain setting.